Located on the north shore of Prince Edward Island,on the southeast side of New London Bay, just minutes from the Cavendish Beach National Park. 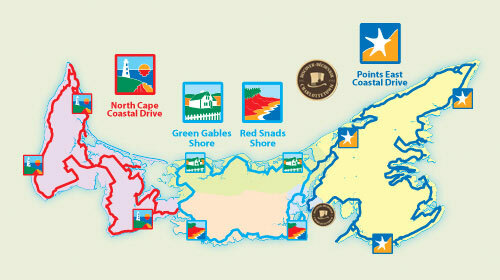 Our location is ideal for a PEI Vacation if you plan to tour the island tip to tip. In 90 minutes or less you can be at one of Prince Edward Island’s eastern or western most points. Our picturesque property is situated on beautiful New London Bay overlooking the sand dunes of Prince Edward Island’s National Park. This unique location coupled with our proximity to the ocean offers visitors an experience to be found nowhere else in PEI. We hope you come and stay with us at Prince Edward Island’s premiere water front destination.